Jeffrey M. Goldstein is a franchise lawyer who represents franchisees, dealers and distributors in commercial complex litigation matters across the country. Jeffrey founded his firm, The Goldstein Law Group, PC, back in 2000, after working at two of the largest corporate law firms in the world. Currently, The Goldstein Law Group consists of franchise attorneys who specialize in representing only franchisees and dealers in litigation, mediations, and arbitrations. Mr. Goldstein is recognized as one of the top franchise lawyers in the country, and has extensive experience in representing clients in state and federal courts in cases involving fraud, RICO, antitrust, encroachment, and wrongful termination. Mr. Goldstein also has an active practice in state and federal appeals cases as well as mediations and arbitrations. In addition to his litigation practice, Mr. Goldstein, a franchise attorney, counsels and advises clients in franchise and distribution matters. Mr. Goldstein has represented clients across the United States in almost every leading franchise system. Mr. Goldstein also is retained to counsel many national independent franchisee associations. 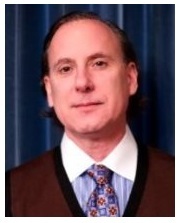 Mr. Goldstein has also served as an expert witness in several federal court franchise cases. Mr. Goldstein also serves as a franchise law expert for other academics and businessmen including investment bankers. Mr. Goldstein has licenses to practice law in the District of Columbia, Pennsylvania, Massachusetts, and New York. Jeffrey M. Goldstein has offered to provide a free consultation for Unhappy Franchisee readers interested in discussing their situations and his services.